Meenangadi. PO, Wayanad, Kerala - 673 591. Use the form below to inquire about Nature’s Retreat Resort at Meenangadi . Use the form below to reserve for Nature’s Retreat Resort at Meenangadi . 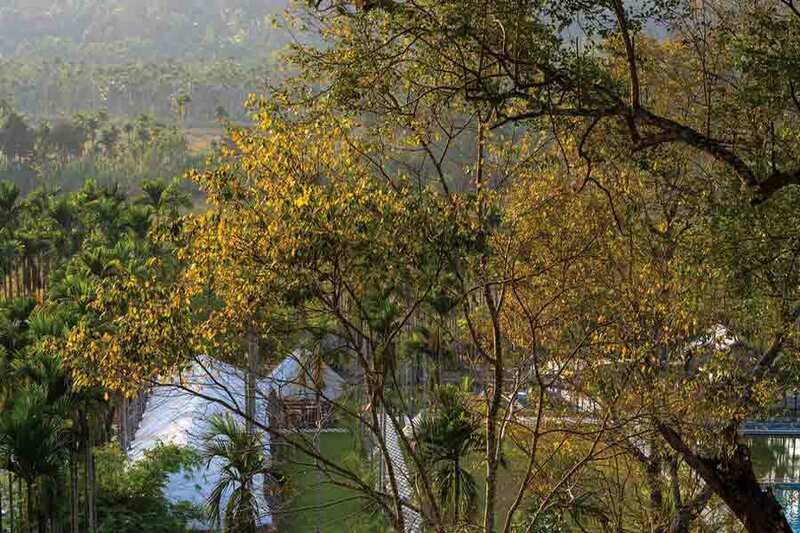 This Nature’s Retreat Resort at Meenangadi is cozily camouflaged within the spectacular scenery of Wayanad. This scenic hill station in God’s Own Country has been attracting travelers since the British era. Located in the foothills of the Western Ghats, this resort is a stress buster that lets you unwind in the lap of pristine nature. World class hospitality and the succulent luxury are the hallmarks of this nature’s retreat resort at Meenangadi. The natural surroundings around this relaxing cocoon help you fully disconnect from the outside world. When you are within this serene environment, the sounds of hornbills or the beetle’s cry are all that can come between you and your inner peace. The sight of sprawling coffee plantations, swaying paddy fields, and towering areca nut trees around this property is picture perfect. The 18 stylishly crafted deluxe rooms are decorated with bespoke interiors. The furniture made from ebony wood oozes a homely warmth. Utmost care has been given to make sure that natural light floods through the windows along with the marvelous scenic views. 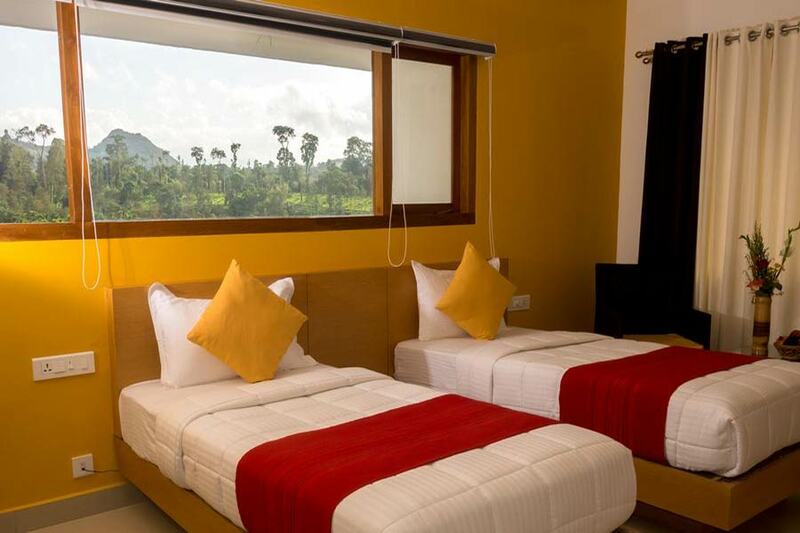 The tones that embellish the walls of this nature’s retreat resort at Meenangadi are calming hues. The private balconies here are ideal for savoring the golden sun at sunrise teamed with your bed coffee. Birds chirping and flying to coffee thickets, rare orchids blossoming, and the view of the Western Ghats where the clouds descend are a few of the scenes you can catch from the comfort of your private balcony. 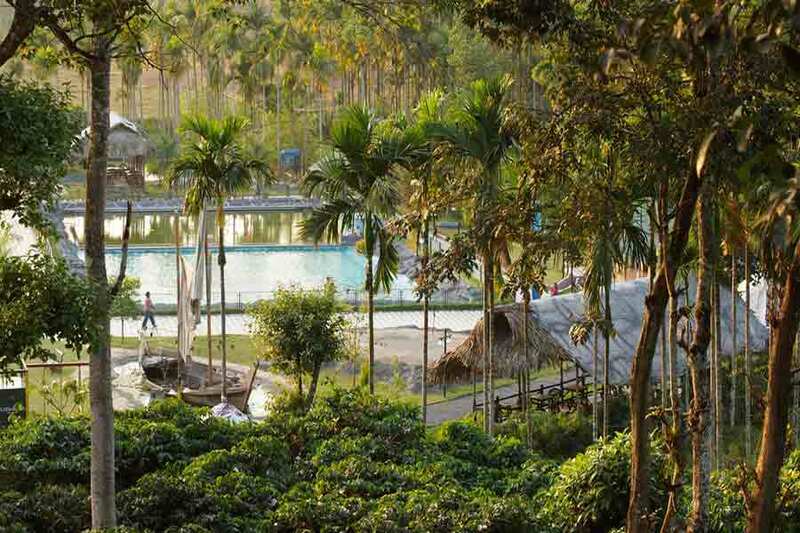 A highlight of this nature’s retreat resort at Meenangadi is the outdoor camping tents. 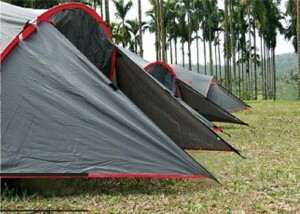 These camping tents are set up within the boundaries of the resort making it extremely safe. Campfires, a quintessential element of camping, are provided to add character to the entire experience. The food at this resort is as spectacular as the natural splendors around. Exotic Kerala cuisine is served along with North Indian and Continental dishes. Special dishes can be served according to the palates of the guests. 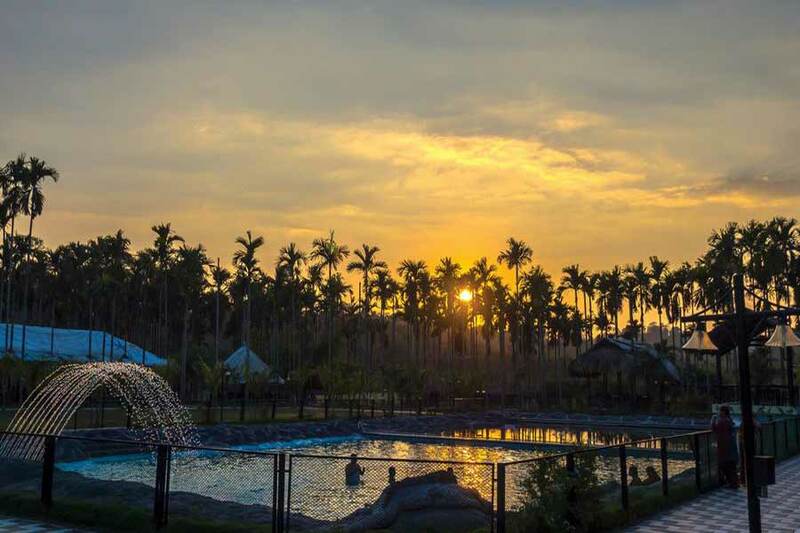 The 20-yard long massive swimming pool, a jogging track, yoga sessions, shuttle court, cycles, and fish pond for angling are other attractions in the resort. 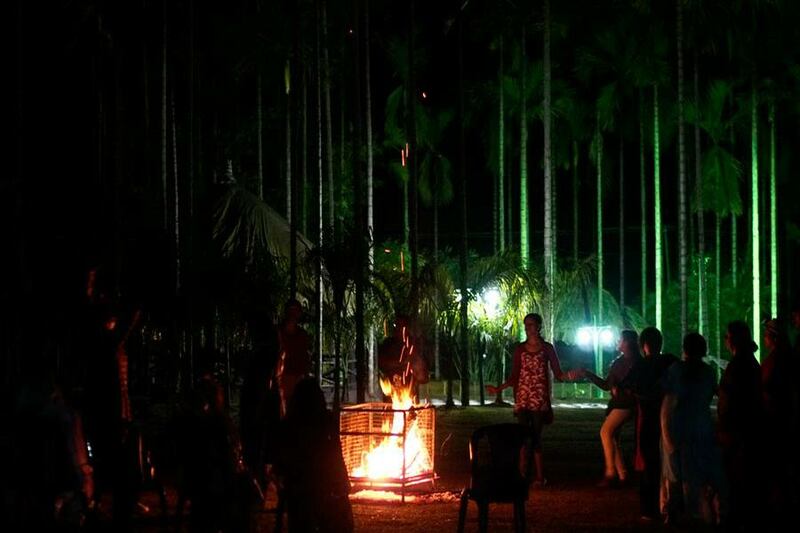 Cultural programs that depict the essence of Kerala can be arranged as per the request of guests. Check-in is at 2.00 pm and check-out is at 12.00 pm. The published tariff is not valid from 20th Dec to 05th Jan.
Children from ages 6 to 12 will be charged @ 50% of the tariff. Children above the age of 12 will be charged as an adult. 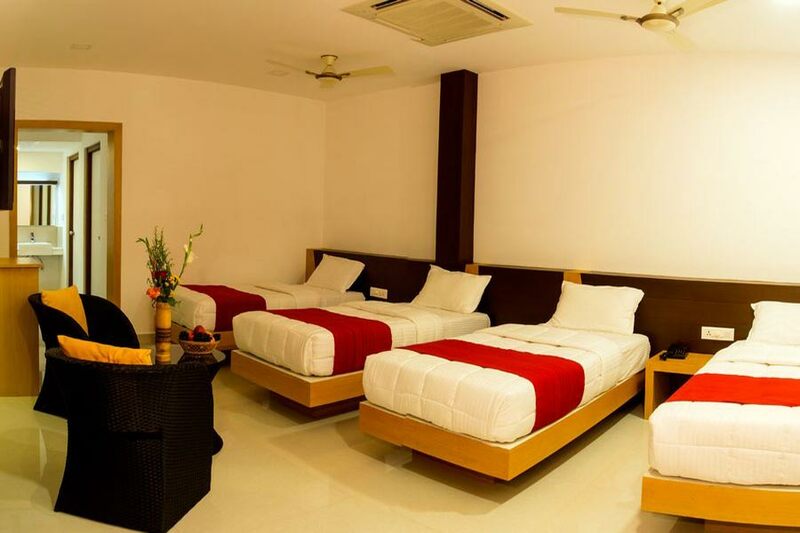 Any cancellation between 15 days before the check-in date – 50% of the first day’s room rent. Any cancellation between 15 days and 07 days before the check-in date – 50% of room rate for the booked period. Any cancellation between 7 days and 72 Hrs before the check in date – 100% of room rate for the booked period. Any cancellation less than 72 Hrs prior to the check in date – 100% of total billing for the booked period. As you enjoy the tranquil scenery and glorious accommodations of the resort, head towards the camp site to experience the wild up close and personal. Fixing the tents, the rugged interiors, the roaring camp fire, nostalgia of old songs, gazing at the stars, and listening to wild sounds are precious moments that will linger on in your memories for a long time. The chefs will prepare delicious dinner right at the camp site and you are more than welcome to lend a helping hand. As you doze off under the starry night, forget about your electronic gadgets or alarm clocks. To recharge your mind and body, jog along the 300-metre jogging track. The more fitness conscious ones can burn off calories at the state-of-the-art gym. Yoga sessions too can be arranged. To satisfy the sports enthusiasts, a shuttle court, cycling, and table tennis have been made available. 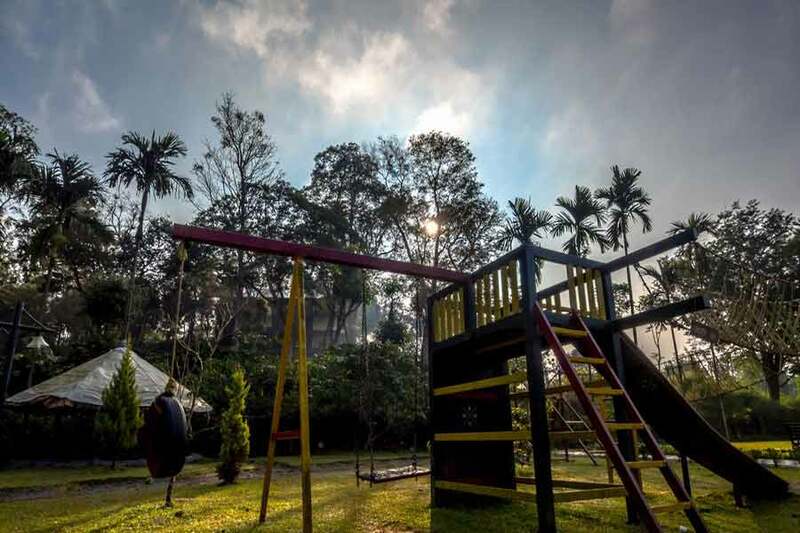 To cater to the little ones, there are indoor games, kiddie pool, and a special camp. Relax by the stunning blue waters of the swimming pool amidst the swaying areca nut palms. The immaculately maintained pool is immensely huge, inviting you to plunge in and soak. 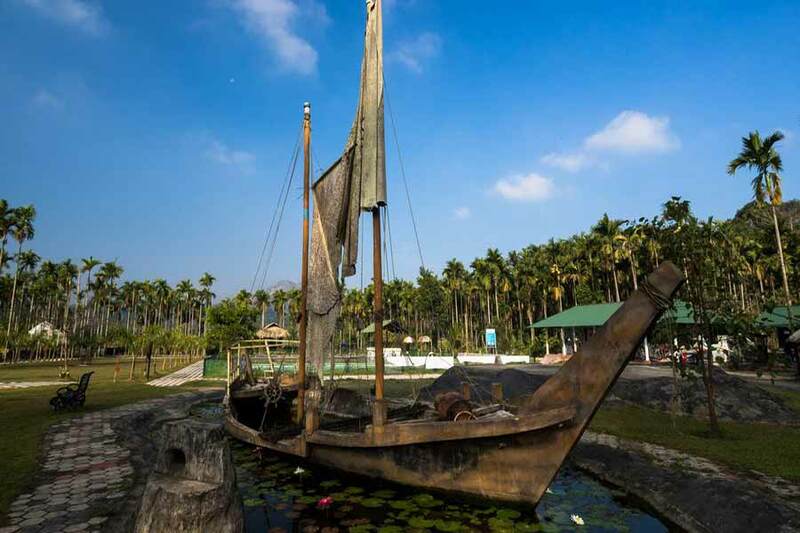 At the angling island, try your hand at fishing. Fishing kit and lures will be provided by the resort. If you get the hang of angling and manage to hook a fish, you can also have it cooked for your next meal! The resort is well-equipped to host training programs as well as any kind of parties. The guests can choose the arrangements and themes. An open stage is available for performances organised regularly here. Traditional art forms of Kerela are demonstrated for the guests on request. Besides this, you can explore the amazing visuals and historic spots of Wayanad. You could rent a cycle to blaze a trail through the neighbourhood or set out on sightseeing trips. Take a jeep safari through Muthanga or Tholpetti wild life sanctuaries, visit Edakkal Caves with their new Stone Age pictographics, witness Soochippara Waterfalls which is a vantage point for bird watching and adventure water sports. Watch the might of Meenmutty waterfall, picnic at the uninhabited Kuruva Islands, or enjoy a surreal boat ride through tranquil Pookott Lake or in the placid reservoir of Banasura Dam. Ambalavayal Heritage Museum, Thusharagiri waterfalls, Thirunelli Temple, and Paapanashini River are other attractions. If your heart yearns for more adventure, venture out on trekking expeditions to Pakshipadalam or Chembra Peak for an awe inspiring panoramic view of Wayanad and the mountain ranges of the Western Ghats. Calicut is the nearest airport which is at a distance of 90 km (appx 2.25 hrs). Travel on NH766 from Calicut towards Thamarasseri. Continue on NH766 to reach Vythiri. On your way, you will cross towns like Puduppadi and Adivaram. After reaching Vythiri, travel a few kilometers to Chundale and continue on NH766 crossing the towns of Kalpetta and Muttil. Driving further east on NH766, you will reach Meenangadi. 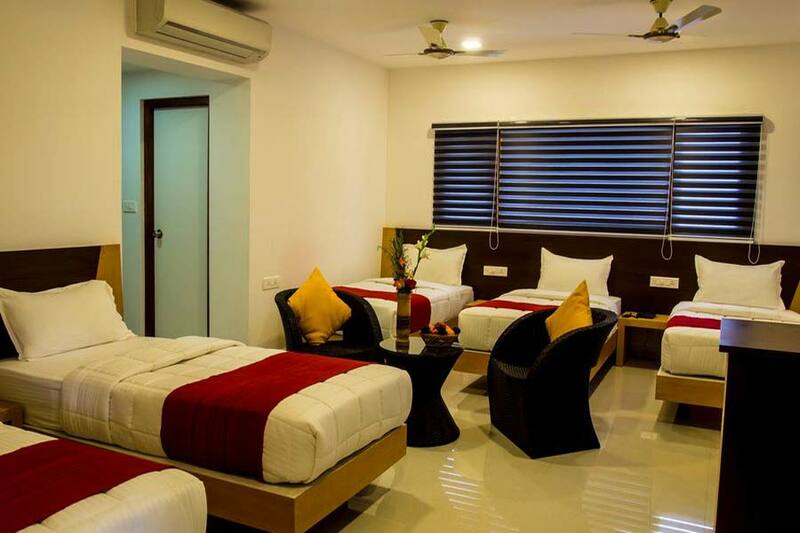 Stay: Nature’s Retreat Resort at Meenangadi Address: Meenangadi. PO, Wayanad, Kerala - 673 591.